We think that chevron pattern is pretty much amazing. It adds so much interest to the home, and it looks awesome in almost every type of design. 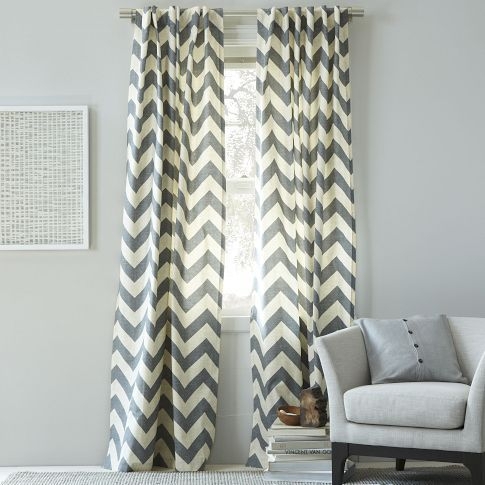 There are a lot of different ways to add chevron pattern to your space, and since there are so many, we thought it would be a good idea to highlight a few of them. So, follow along with us as we discuss a few ways to incorporate this magnificent pattern into your home design. A chevron accent wall can do wonders for your home décor. It will immediately add interest and color, bringing a bit more liveliness to your design. You can either do this through wallpaper, a professional paint job, or a DIY one. There are many different color options when it comes to chevron wallpaper, and even more color options when it comes to paint. If you’re going to paint the accent wall yourself, you will need painter’s tape to keep your lines clean. Don’t be afraid to use other patterns with your accent wall, just make sure they complement the chevron. These are the perfect way to add that special oomph to your design, they won’t command as much attention as an accent wall, but they will meld into your décor, creating the perfect finishing touch. They’re easy to install, and if you decided to change your home design, they’re easy to replace. These would also be beautiful with a complementary pattern, bringing a bit more personality and character to your home. 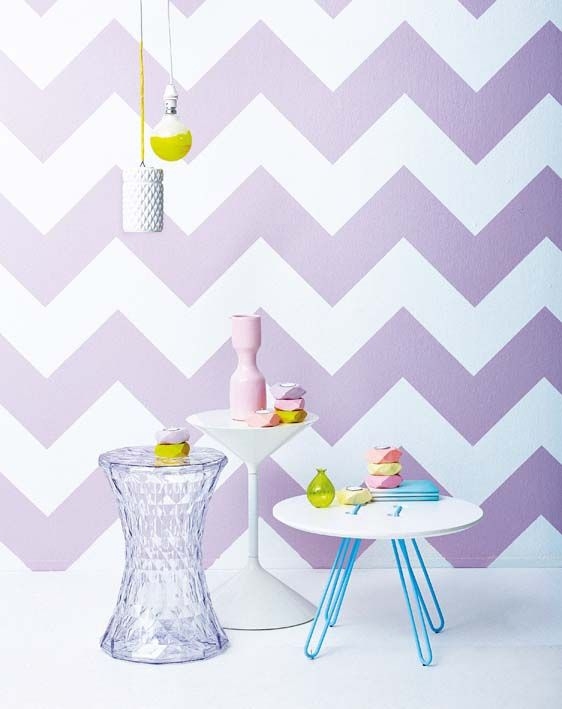 This is a fantastic way to add a little chevron to your home. 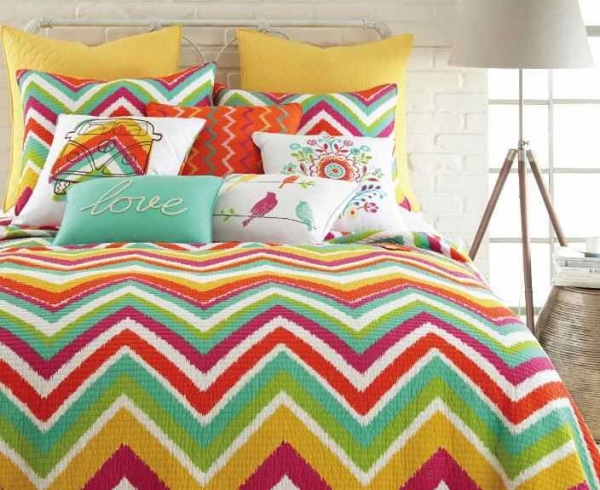 We think chevron bedding looks best when it is allowed to be the focal point of the bedroom. Solid colored walls, a few pieces of beautiful décor, and chevron bedding look phenomenal together. 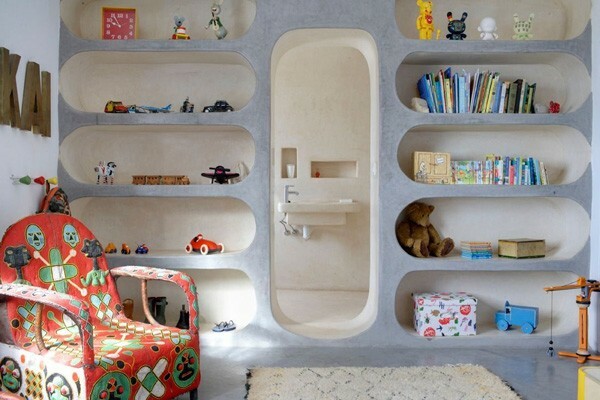 It also looks fabulous in a kids’ bedroom, and it brings a lot of fun and energy to the space. A chevron rug works in almost every single type of design. It works with traditional, modern, eclectic, art deco, and even country. Chevron floors elevate home design to an entirely new level. They transform the home by adding elegance and a huge amount of interest. Our favorite places for chevron floors are: entryways, living rooms, and bathrooms. 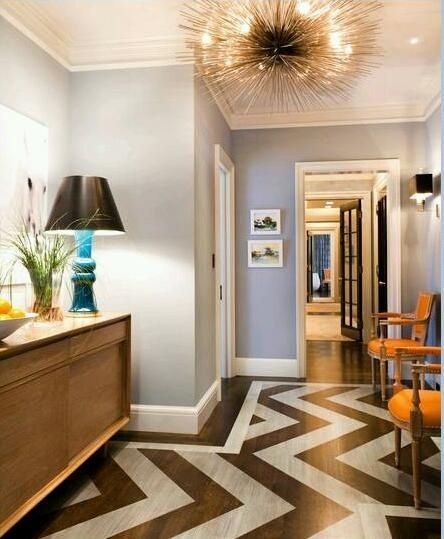 If you’re looking to add a little elegance to your home, an entryway with a chevron floor is a marvelous way to go. Chevron furniture is the perfect way to add a pop of color to your home. We love the way chevron furniture looks in a simple design, it adds just enough energy to the space. Chevron chairs, ottomans, and benches, are all wonderful choices for adding a chevron pattern to your design. You can find chevron in numerous pieces of different décor. 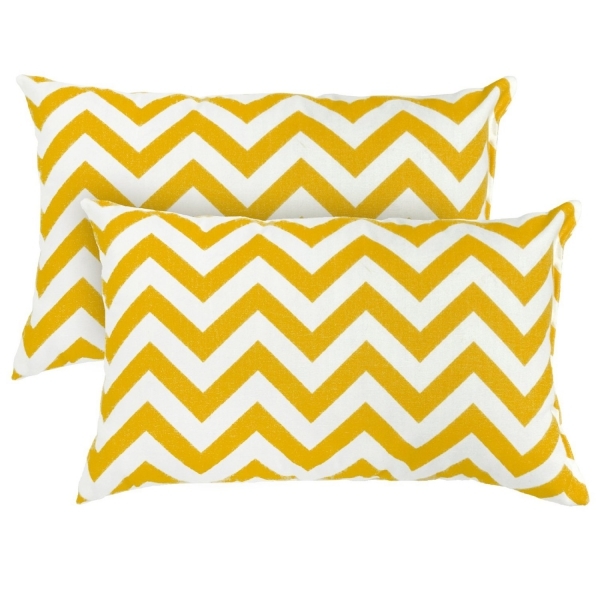 Try spicing up your home with chevron pillows, or a chevron lamp. You can even make your own chevron artwork. Grab a couple of canvases, some paint, and some tape, and your home design will have a beautiful touch of chevron in no time. Chevron patterns come in a lot of different colors, including neutral colors like brown and cream. So, if you want a chevron pattern, but you don’t necessarily want a bold color, there are still plenty of options for you. And lastly, even though chevron is an amazing pattern, it’s important not to overdo it. 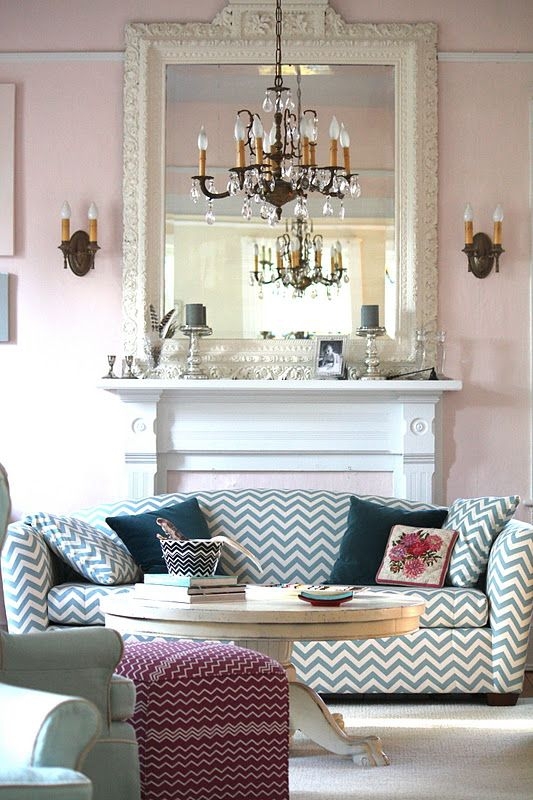 Too much chevron can become distracting and take away from your design. It’s also important to make sure that the chevron looks good with the other patterns in your space. Now, you’re officially ready to go chevron crazy.